Your membership pays itself back through discounts on products, access to exclusive resources, and educational opportunities. We promote safety in all that we do. MAC-ISA provides a huge array of educational events. Click below to view all the upcoming events. 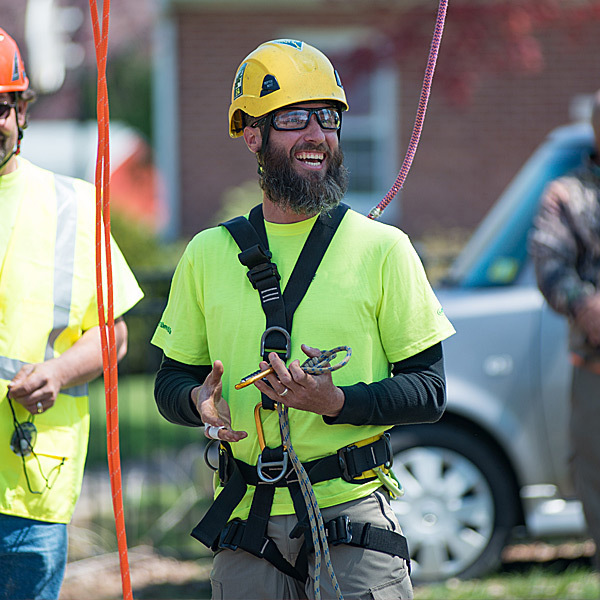 Want to become a Certified Arborist or Tree Worker? Find out which of the ISA certification credentials best meet your needs. The MAC-ISA is a trade association for arborists, urban foresters, and others involved in the caring of trees. Our mission is "to promote a culture of safety while fostering education and research that supports the care and benefits of trees." 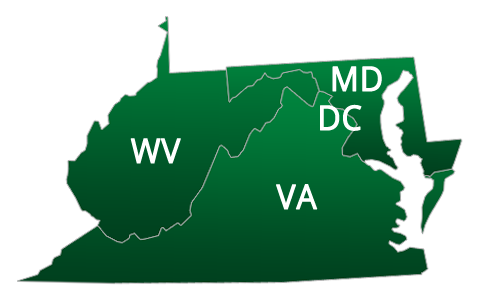 The chapter area includes District of Columbia, Maryland, Virginia and West Virginia. Congratulations to the winners of the 2019 MAC-ISA Tree Climbing Championship: Jocelyn Lohse and Drew Dunavant. For a link all the final results click here. Registration is available for our Certification courses and TRAQ courses and TRAQ renewal courses. We have REACHED OUR initial FUNDRAISING GOAL OF $100,000 to endow this scholarship! Thanks to all who contributed. Scholarship applications are now accepted by the TREE Fund. https://www.treefund.org/scholarships. We will continue to fundraise to increase the amount of future scholarships. Please donate. Read more on the Tree Fund page under the Bonnie Appleton Fund section. Always wear a helmet with your chin strap buckled. Perform a level 2 risk assessment before your climb. Assume that all utility lines are energized. Establish a clear work zone and drop zone. Inspect and clean your PPE regularly. Establish an emergency response plan prior to work. Check your equipment, surroundings and yourself prior to everyone's job. Do not accept unsafe behavior (if you see something, say something). We promote safety in all that we do. MAC-ISA provides a huge array of educational events. Register for one of our events today! Annual Meeting Two-day event usually held in October. Tree Climbing Championship Chapter members showcase their climbing skills. Certification Courses Three-day course to become ISA Certified Arborists. Day of Safety To promote a culture of safety while fostering education. Tree Fund Events MAC-ISA partners with the Tree Fund.